The Gold Coast’s Home Of Donut Cakes! Let us sweeten your event! Here at Sugar Gathered, we like to push the boundaries and deliver more than just our deliciously sweet hampers! 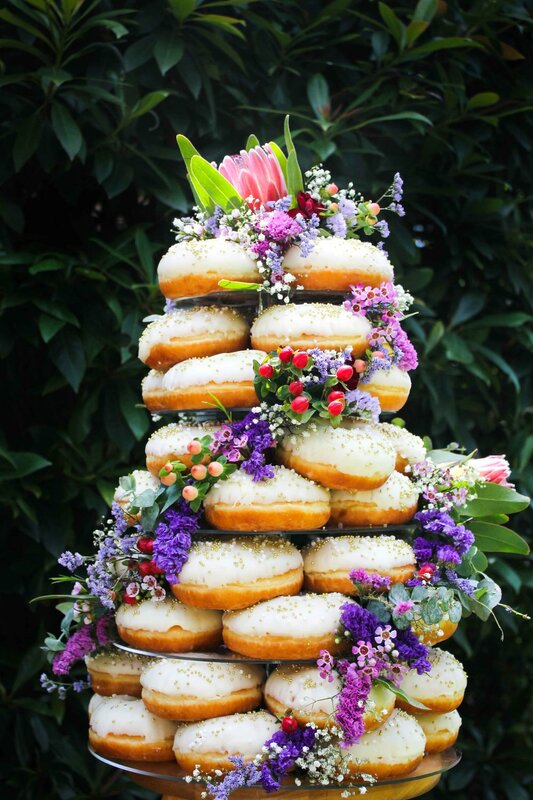 Enter, our brand new range of donut cakes and walls! The beauty about these stunning creations is that they are suited to any occasion; from weddings and bridal showers to birthday parties and baby showers! Whatever your occasion, we have got you covered in sugar! We would love to be a part of making your upcoming event even sweeter! As these beauties are available by appointment only, please use the contact form below to let us know the sweet details and we will be in touch to see what we can create for you and your loved ones! Tell us a little about what design you are looking for to suit your event!